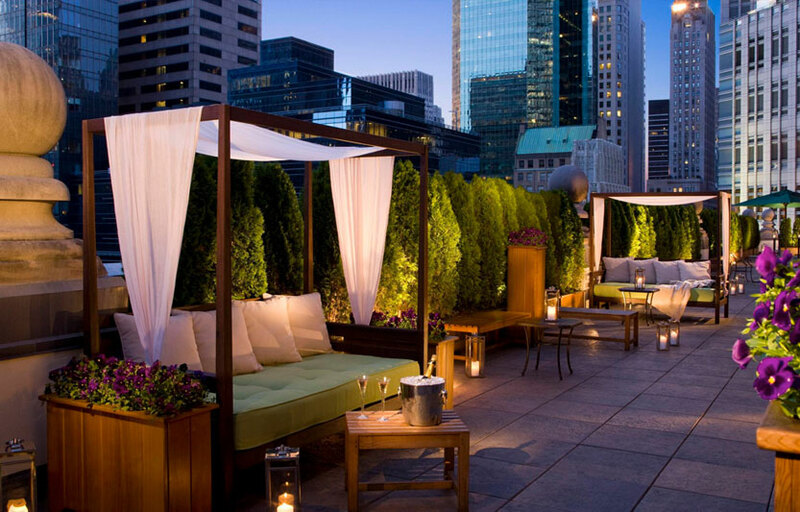 Once past the velvet ropes and up the elevator, chic patrons find themselves at Sky Room, one of NYC’s highest rooftop bars where the cocktails are as fine as the views. The expansive bi-level venue is composed of multiple rooms featuring plenty of private VIP tables and open dance areas, though most of the dapper guests who show up early for Happy Hour hit the glass-topped bar in the Main Lounge first. Ceiling LED lights mimic the view of midtown on the 33rd and 34th floor decks of the Times Square Marriott. 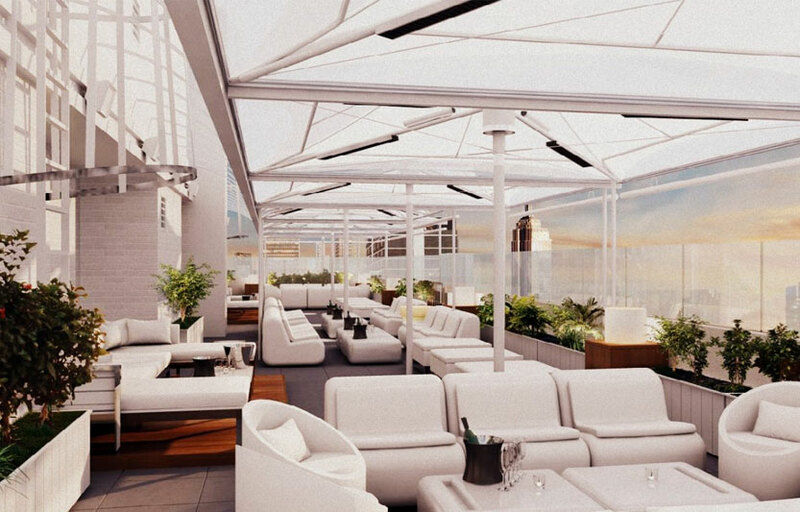 Designers Stephen B. Jacobs and Andi Pepper (who’ve also worked with the Gansevoort, Library, and Giraffe hotels) split the massive bi-level outdoor area into five “terraces”: one has a retractable glass roof, another features private cabanas. Where is Sky Room located? 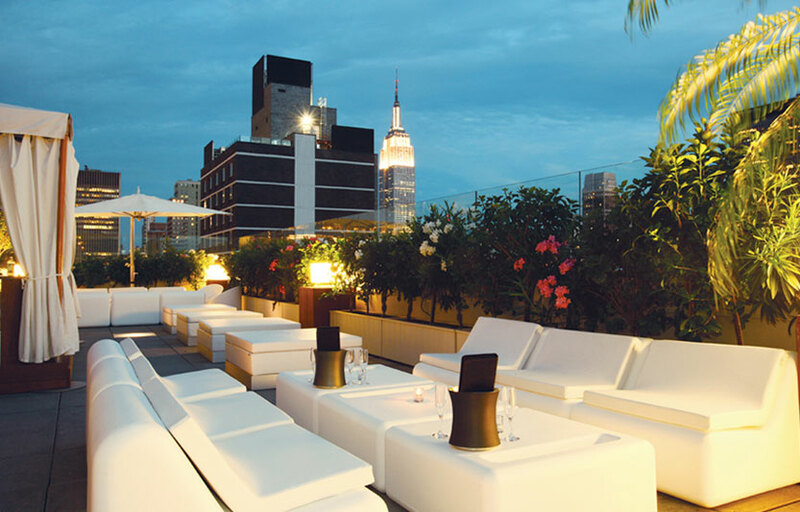 Sky Room is located in Midtown West on 40th street between 9th and 8th Ave.
How much is cover charge at Sky Room? Typically $20 on Fridays and Saturdays. There usually is no cover on Thursdays. How long will I have to wait at Sky Room? Average wait times vary from 30 minutes to 1+ hours on super busy nights. We recommend arriving as early as you can to avoid long waits. When is Sky Room open? Sky Room is open from 5 PM – 2 AM on Thursdays, 5 PM – 4 AM on Fridays and Saturdays. What are the best nights to go to Sky Room? Fridays and Saturdays are the best nights. What is the dress code at Sky Room? Dress to impress – collared shirts and jeans for guys. Heels and dresses for ladies. How much do drinks cost at Sky Room? $5 Beers, $7 Well Drinks & Wines by the glass. Skyroom brings in different local talent on each night. What kind of music do they play at Sky Room? A mix of top 40, Hip hop, and EDM. What is the closest subway to Sky Room? A, C, E train on 42th street. 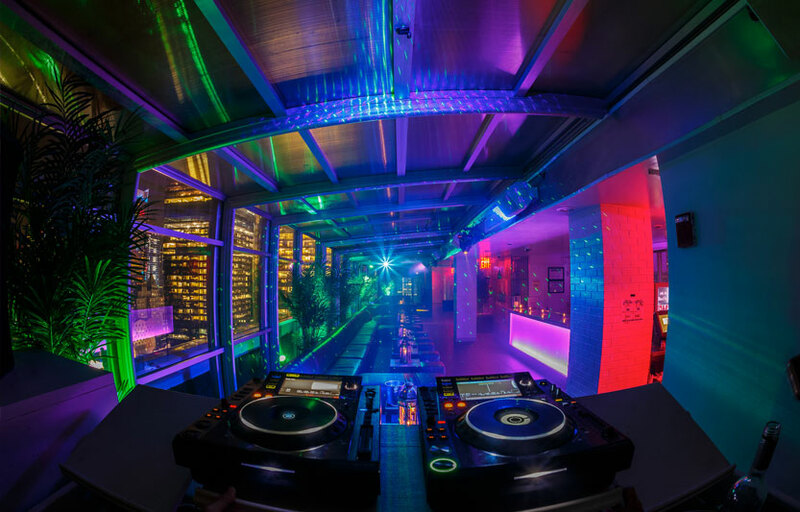 Where can I find an list of upcoming events / DJs at Sky Room? 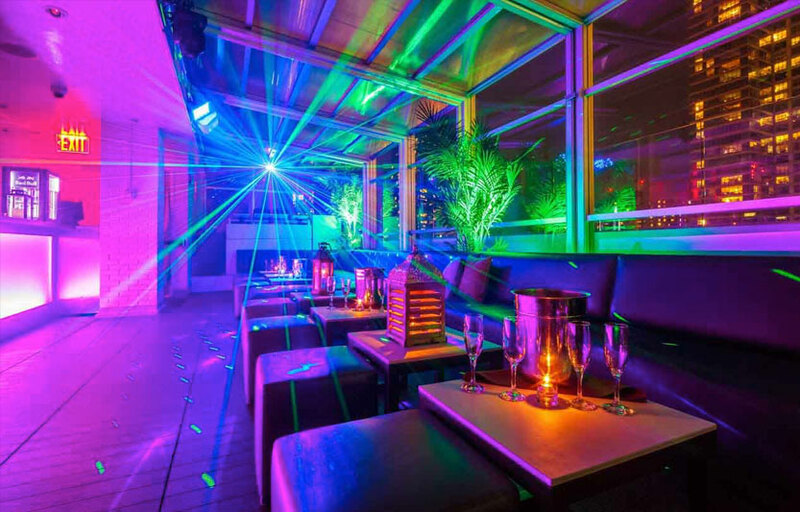 You can download the Discotech app to see upcoming events and book tables for Sky Room.